Traditionally made with eggs, peas, and pancetta, pasta carbona is Italian comfort food at its finest. With a simple twist and a few less steps, this recipe uses tomato and comes together in just 20 minutes! 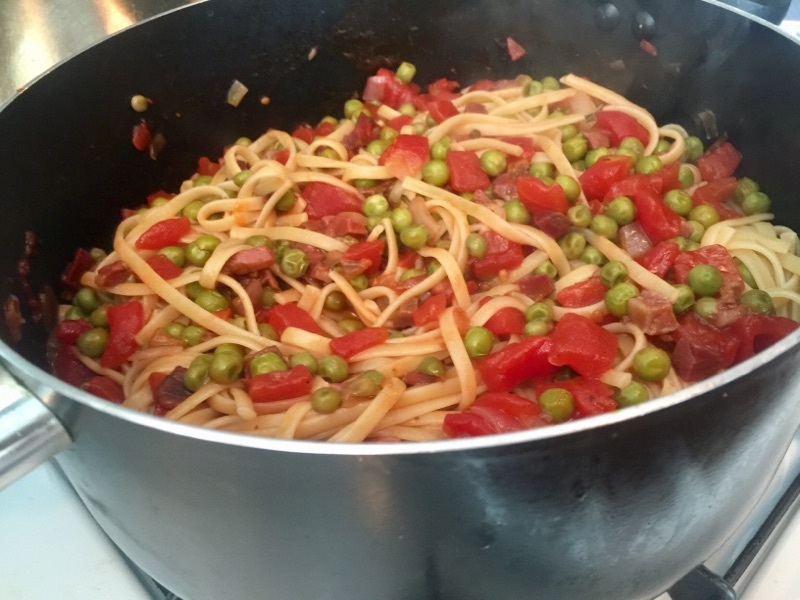 Taught to me by my Zia Concetta, who has mastered the art of quick, easy recipes for days filled with things-to-do and summer sun, my Pasta Carbonara Rossa is light, but filling, and the flavor combination is authentically Italian. Serve with a salad and your favorite Chianti. Buon appetito! Be sure to Like, Comment, & Share the Love!